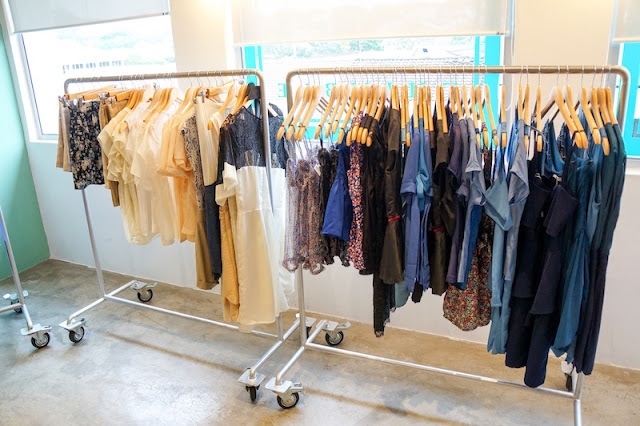 Went visit Thimble boutique @ Bangsar last Friday. Thank you Kinkybluefairy Joyce for introducing Sandra (one of the owner/designer of Thimble) to me and made this visiting happened. Be honest, i never know the existence of Thimble until Sandra emailed me about her boutique. First thing come to my mind was another typical boutique which is selling clothes and perhaps some accessories. 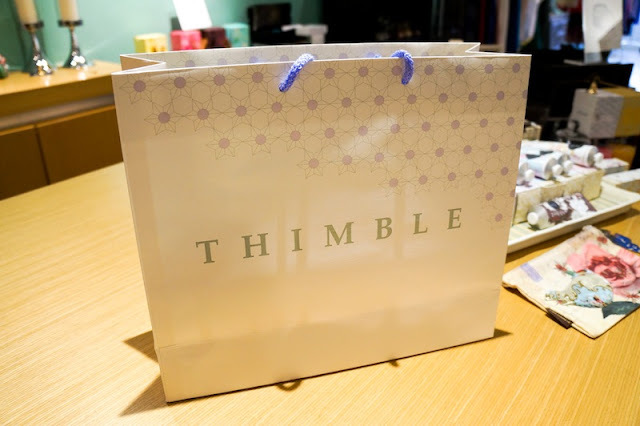 But Thimble is different, so different that i'm overwhelmed by all the stuffs they carry ranging from luxury toiletries, body care, candles, perfume to clothing, bags and accessories. Let's check out how many brands Thimble has. 1. Lollia hand cream from United States. Loving their rich texture that are very good for keeping your hands moisturize. 2. 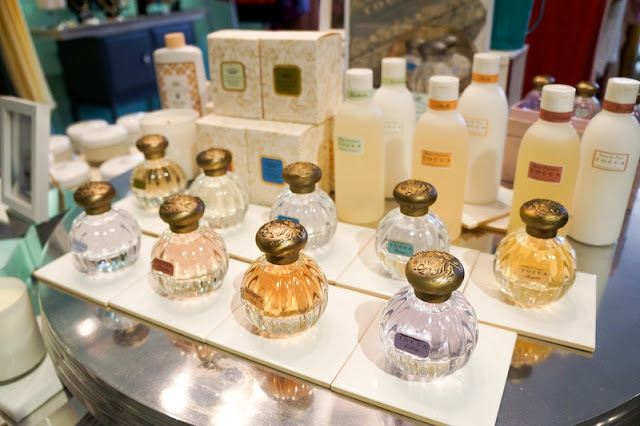 Luxury toiletries brand, Tocca. They currently carrying only body cream, candles and perfume, Sandra told me they will be more to come in the coming months. Stay tune! 3. 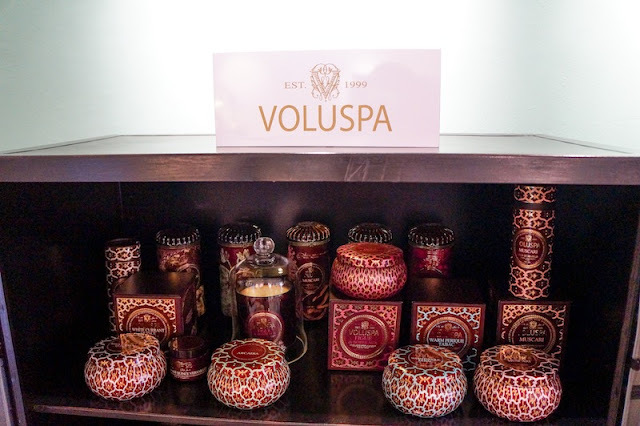 Voluspa, another luxurious candles and home fragrances brand. So far, Thimble is the only official distributor in Malaysia. 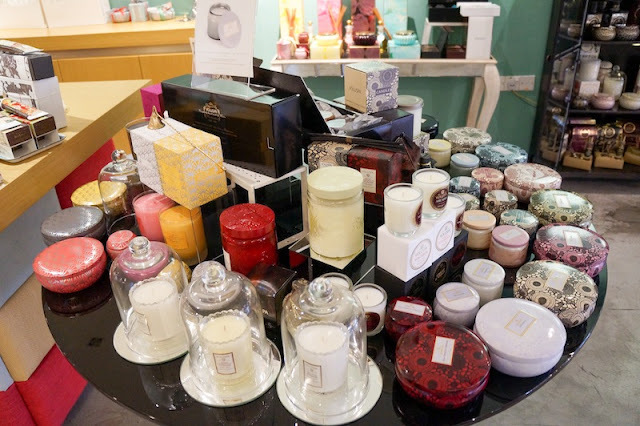 As Sandra explaining to me, these candles are less expensive as compared to those that are selling at giant retailers like...I could make an obvious comparison here so do find out your own. Personally love the smell of Maison Rouge. Check out more scents at Voluspa website. 4. Thimble designs and makes their own clothes, appreciate their effort. Btw, you guys would have less probability wearing clashed outfits with outers. Addition point! Their clothing line is more feminine and casual. The boutique has a big changing room with big mirror to let you selca-ing like me when you trying clothes. lol, add another point. 5. 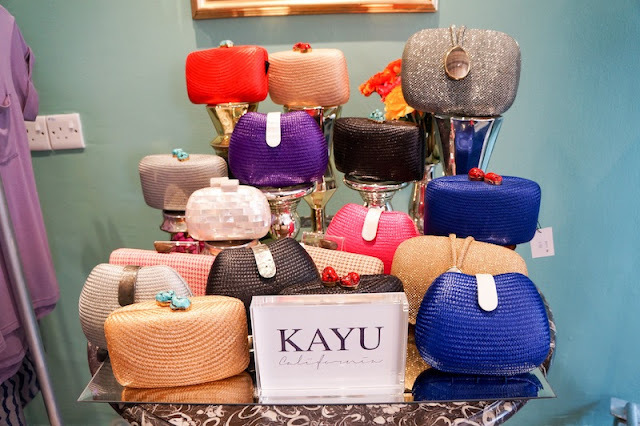 They also bringing local design Kayu, another US brand! These clutches are so bling, me would love to get one when i'm visiting it next time. 6. 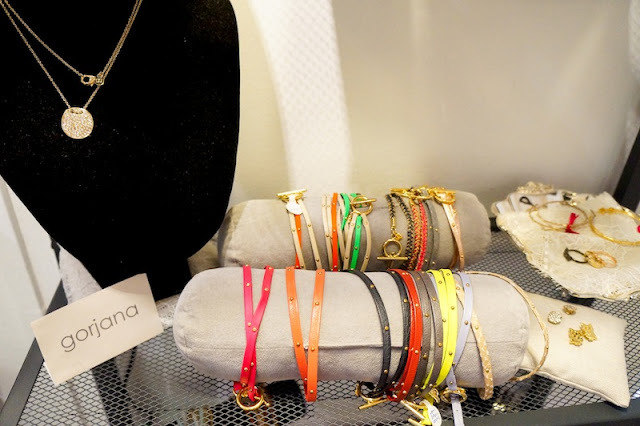 Gorjana Graham leather wraps from the States as well. 7. 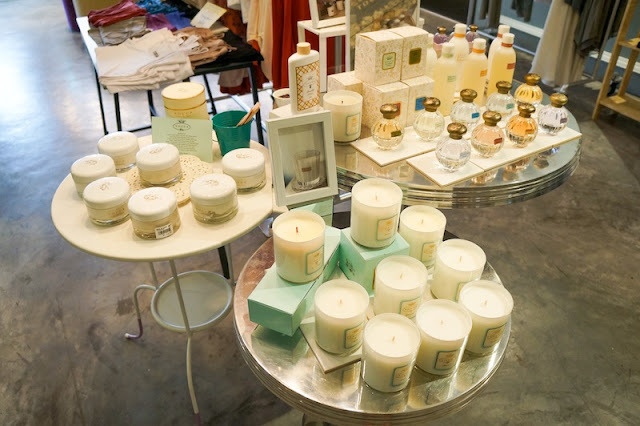 They also carry House of Harlow and 8. 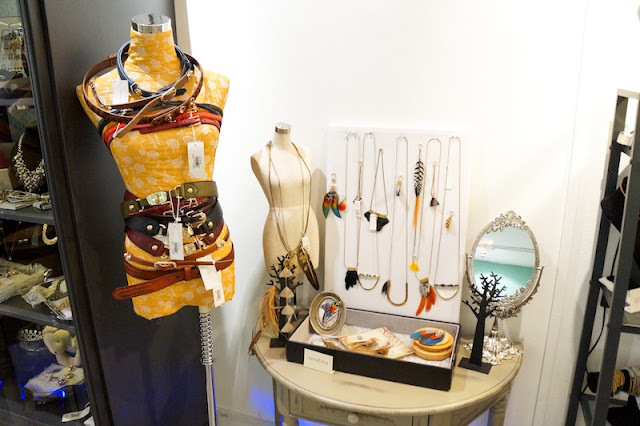 Serefina accessories. Do check them out! 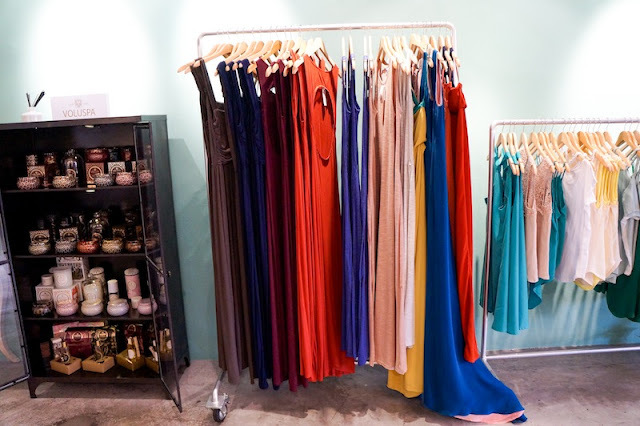 You can visit their website www.thimbleboutique.com or FB page www.facebook.com/ThimbleBoutique for latest updates. 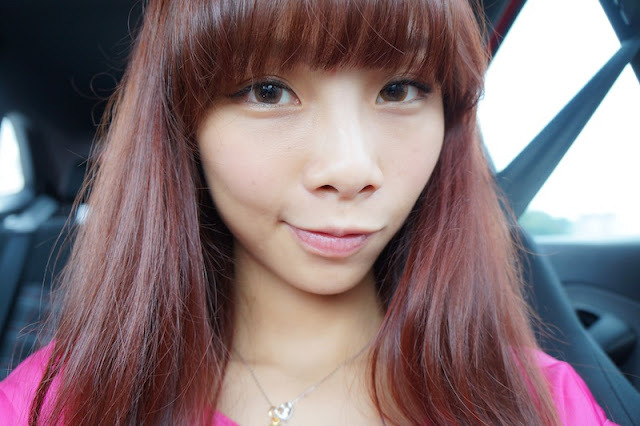 Wishing you guys Happy Hari Raya Haji + Happy Holiday + T.G.I.F!